It’s been thrilling as always to be part of the Modebelofte team, bringing the fiercest talents from the best international BA and MA fashion courses to Dutch Design Week in Eindhoven. Although my part in this – textual curation, communication and hosting the Expert Meeting for fellow educators, press and designers – is peanuts compared to what it takes to put this show on the road. Shout out to the fabulous curator & event designer team Niek Pulles (Heyniek) and Harm Rensink, our superwoman project manager and PR queen Holly Syrett of GW Agency, the team responsible for all the trafficking, the graphic designers at Studioand.nl and campaign photographer Imke Ligthart…. and of course the queen bee of them all, initiator Ellen Albers of You Are Here. 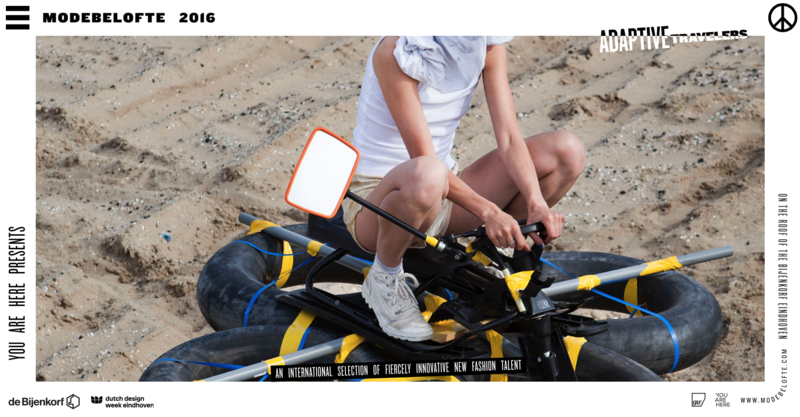 Check out the Modebelofte 2016 ‘Adaptive Travelers’ site for all the wonderful participating designers and more. 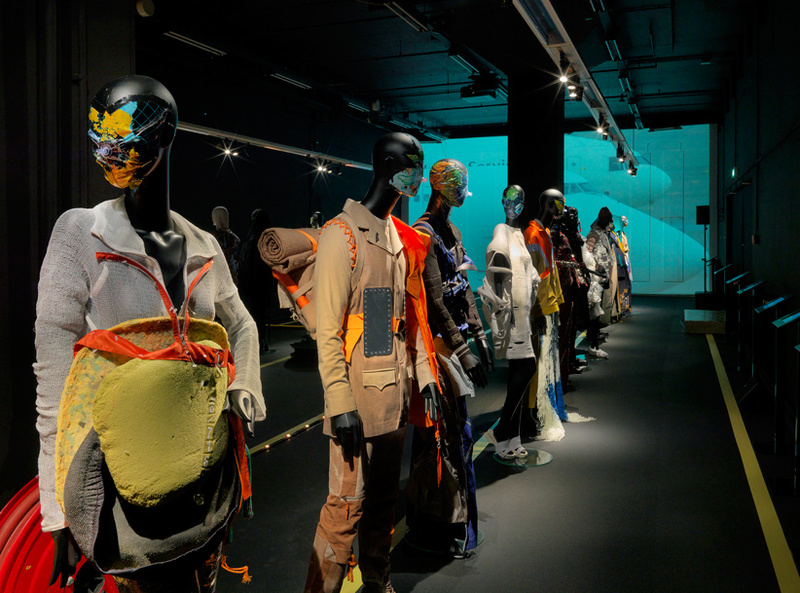 It is going to be hard to ever outdo the 2015 edition of Modebelofte, held in the Philips Stadion in Eindhoven, with a record number of 42 participating designers from a record number of 15 international MA and BA fashion courses. 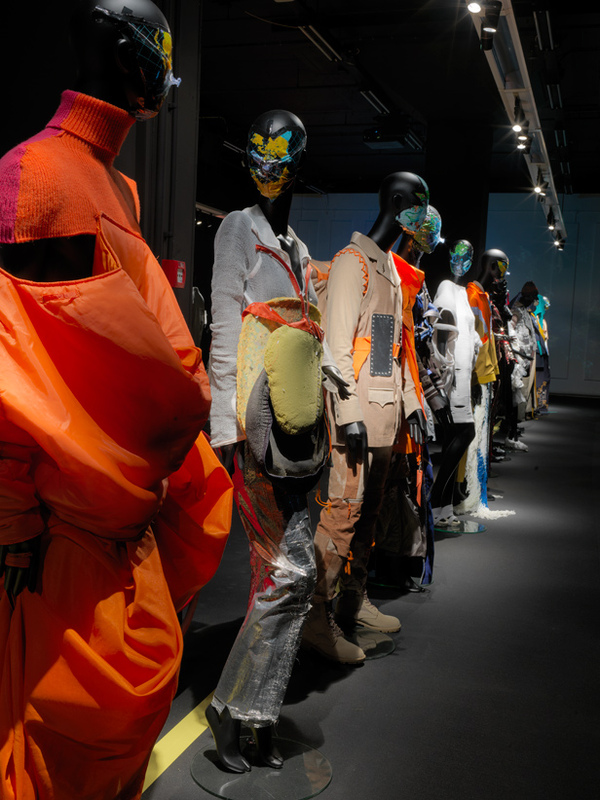 The ‘Performing Advancers’ exhibition of ‘fiercely innovative fashion talent’ was in fact so spectacularly designed by Niek Pulles a.k.a. Heyniek and Harm Rensink that it won the ‘Best of Dutch Design Week Award’ for its overwhelming generosity, awesome location and reach. 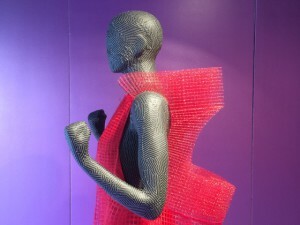 What a victory for the fashion discipline in this particular design walhalla context. 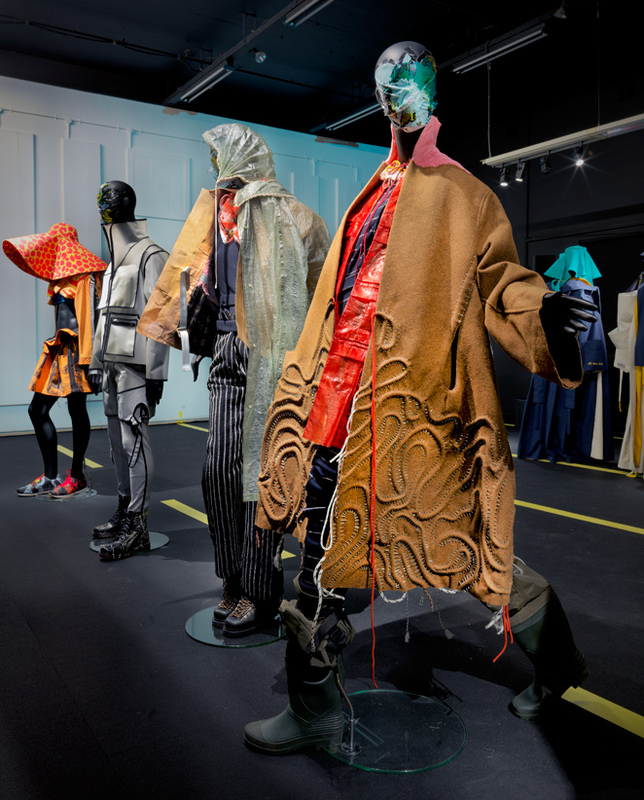 The designers selected for the 2015 edition were: Isabelle Tellié , Tung Trinh and Josephine Goverts from ArtEZ, Arnhem; Fabian Bredt, Bram Vervoort, Olivier Jehee and Nikki Duijst from Royal Academy of Art (KABK), The Hague; Ting Gong, Chisom Ogundu and Tone Bjerkaas from Gerrit Rietveld Academie, Amsterdam; Fatma Kizil from Willem de Koning Academie, Rotterdam; Anouk van de Sande and Vera de Pont from Design Academy Eindhoven; Jessica Walsh, Alan Oakes and Pauline Choi from Parsons School of Design, New York; Chou Yun Ting from Shih Chien University, Taipei; James Mitchell, Jim(Chen-Hsiang)-Hu, Gabriele Skucas, Milligan Beaumont, Gabriel Castro, Matty Bovan and Beth Postle from Central Saint Martins, London; Charlotte Grace Georgina Harris, Kathryn McGee, Yunseo Choi, Hannah Williams, Matilda Norberg and Nneka Okorie from Royal College of Art, London; Sian Alexandra Hadnum, Dawn Ansuh, Jessica Brown and Hannah Curtis from Middlesex University, London; Robyn Priestley from University of Westminster, London; Odella Yue from Winchester School of Arts, University of Southampton; Hannah Wallace from Manchester School of Art; Calum Whitley from Birmingham City University; Laure-Severac, Edoardo Rossi, Sofie Gaudier and Marie Sophie Beinke from Royal Academy of Fine Arts, Antwerp. 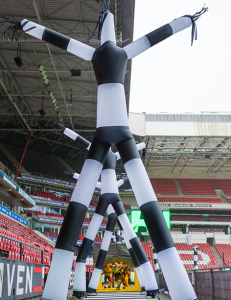 Without further ado, see HERE a video impression by Heyniek, and below some images of this unforgettable event. 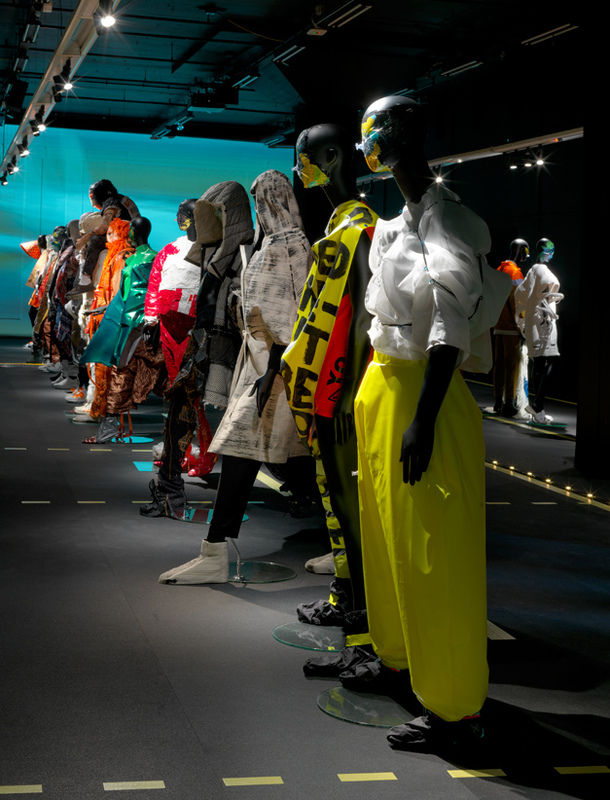 Jessica Brown, Middlesex University – Inspired by the 1982 sci-fi Tron; Jessica Brown’s collection embodies a knitted future rife with crochet, luminescent fabrics and gamer rebels out to make a statement. 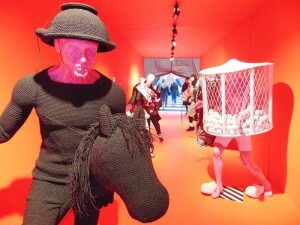 Knitwear specialist Jessica Brown developed complex 3D knitted structures using natural British wool, colored nylon-stuffed Italian yarn, tubular ‘cyberlox’ crin and glittery lurex combined with synthetic fabrics, foam and silver foil for her warrior like menswear. 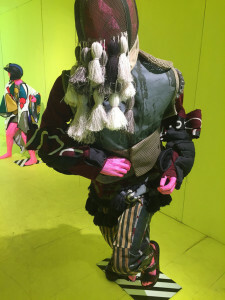 Hannah Williams, Royal College of Art – Inspired by the way in which sculptors worked Hannah Williams set out to create garments by sculpting onto the body. In her process driven approach, she captured each sculpting session live and the remains of the unused silicone, plaster and acrylic left on the floor was then created into a dress. 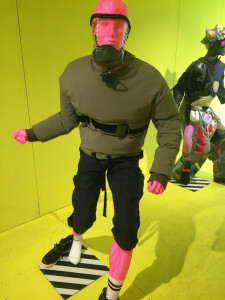 Fabian Bredt, Royal Academy of Art (KABK) – Identities have become extremely adaptable, leaving the designer to conclude that he belongs to the most plural youth generation in history. 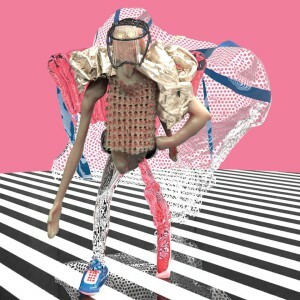 Aiming for a more collective group image rather than creating individual looks he chose to design triptych style, dividing each look over three outfits. Dawn Ansuh, Middlesex University – took inspiration from a series of photographs by Pieter Hugo, called ‘The Hyena and other men’, which documents Nigerian street performers who train hyenas and use them to perform tricks. They use whatever objects they can find on the streets. 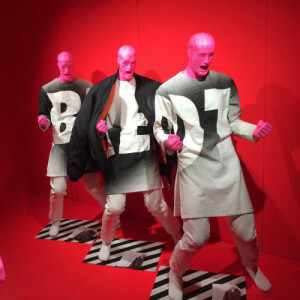 Hannah Curtis, Middlesex University – To riot or protest is often deemed as an act of mindless violence or destruction with little consideration for the consequences. But beyond this lies passionate defence of cultural and social identity as well as protection of traditional values.